Halloween Crafts are my kiddos favorite! 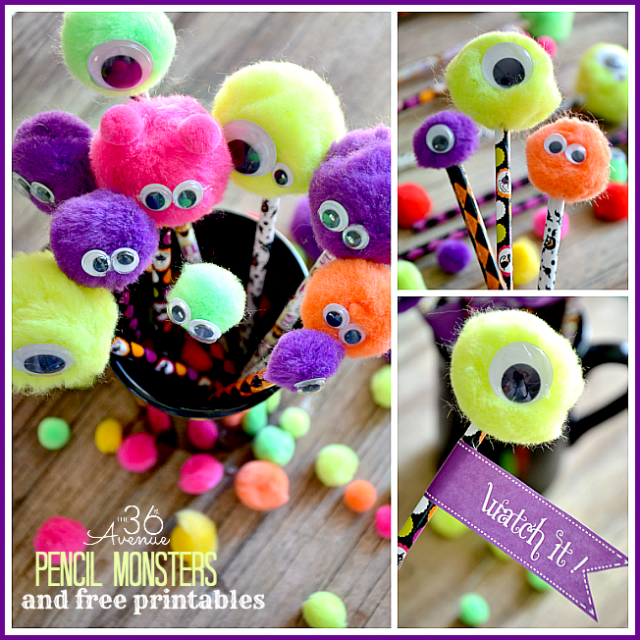 These Halloween Monster Pencils and Free Tag Printables are perfect for Halloween Class Parties. 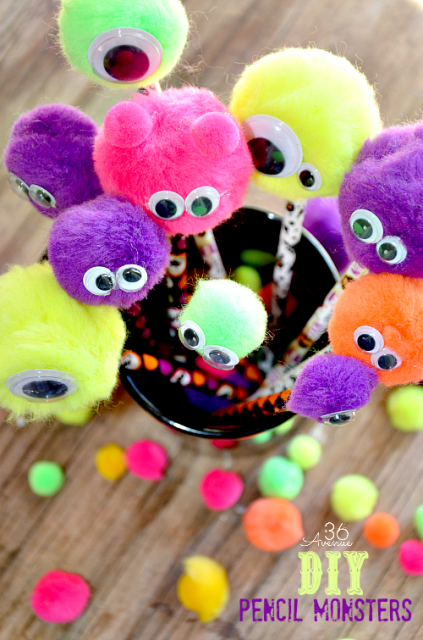 Kids love making them, giving them, and doing their homework with them during the entire month of October. 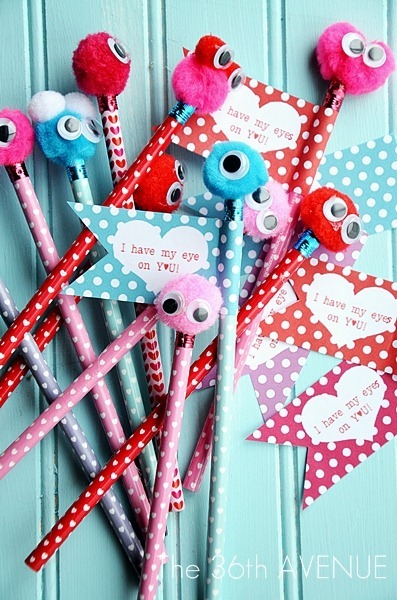 They are also a great alternative to candy for classmates and friends! So cute! My children and I had a blast making these awesome little guys. 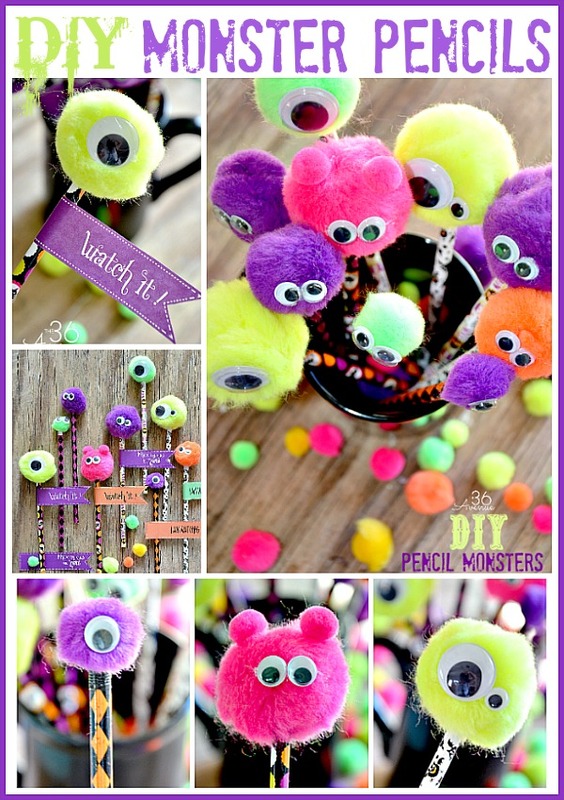 her giving these Monster Pencils to her classmates instead of sugary Halloween Treats. 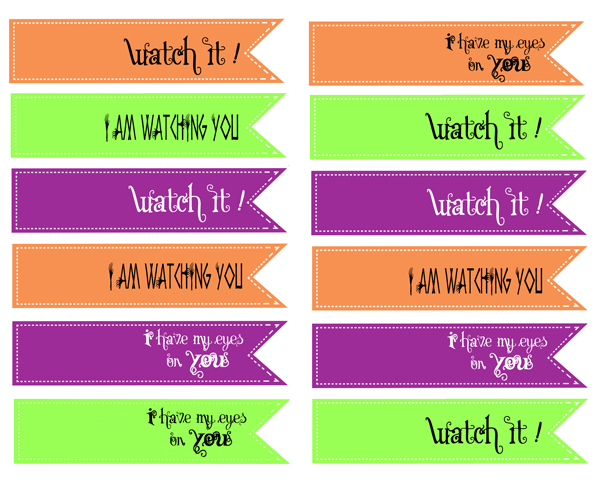 the free printable here today so you can add them to your Halloween Monsters as well. 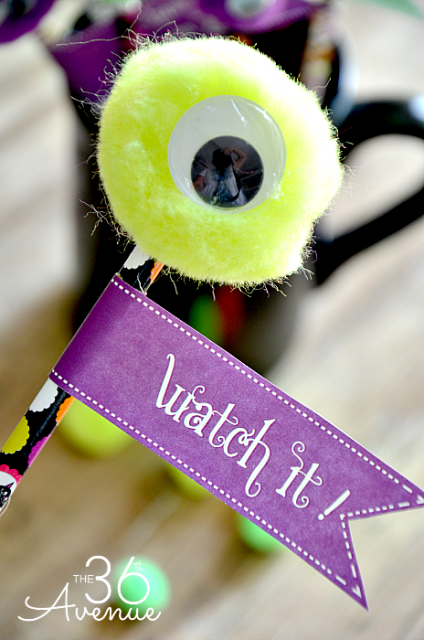 You can make this Monster Craft in just a few minutes with pencils, pom poms and plastic eyes. 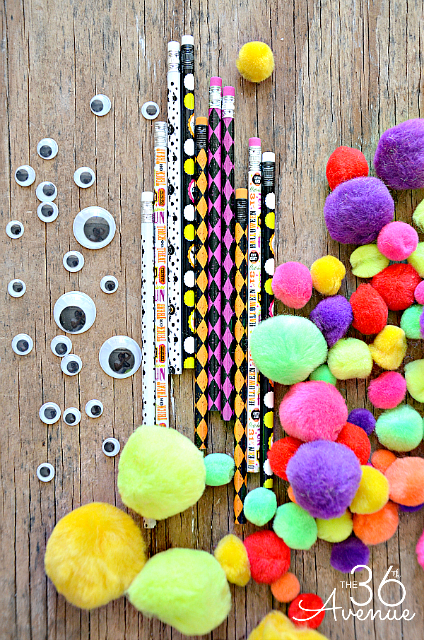 You can find all of these materials at your Dollar Stores or local Craft Stores. For a full step by step tutorial click here. I made some similar Love Monsters last year for Valentines. 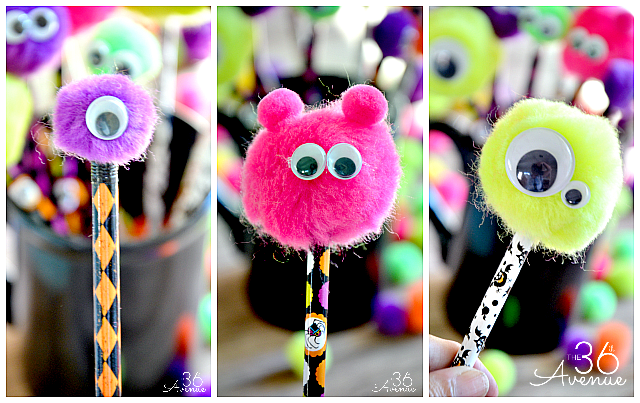 So there you have them… little Halloween Pencil Monsters for the kiddos to share. 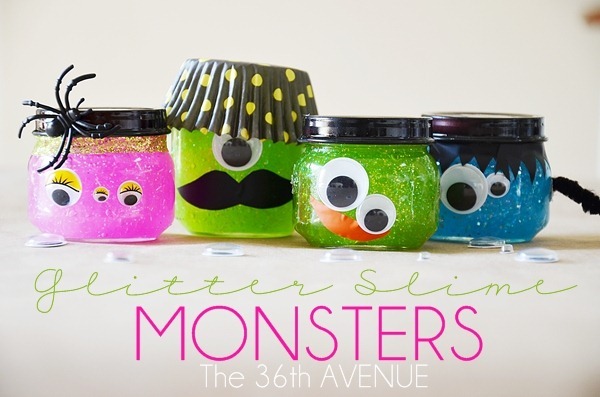 Before you go also take a look at these Glitter Slime Monsters. 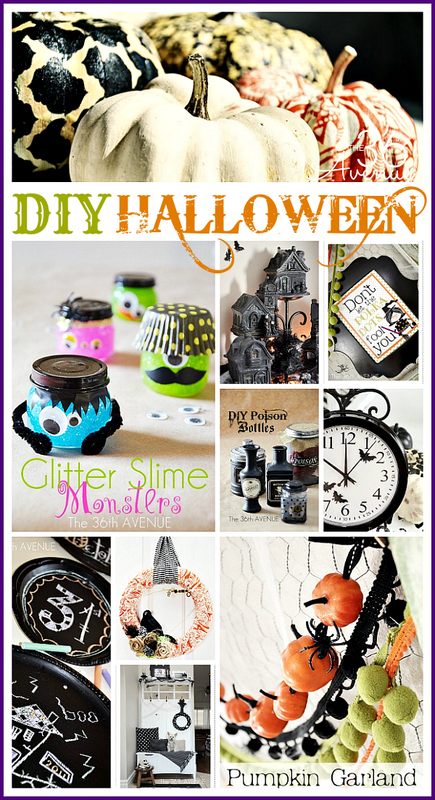 For more Halloween Inspiration check out these DIY Halloween Ideas here. Thank you for visiting with me today… You guys are the best! Ok, those are REALLY cute! But no candy for Halloween?!?!?! Whats the point of having Halloween without candy? Might as well skip it. Halloween is all about great costumes and CANDY!!!!!!!! We toss all the Halloween toys/pencils/etc into the trash and eat the candy. Glad my son’s school still allows candy. My kids aren’t allowed to bring sugary treats to school with the schools new health initiative so these will be great for my little guys kindergarten class! Thanks for the idea! Thank you for visiting Georgia! tee hee hee – CUTE!!!! pinned to my Halloween board! So cute! I’m definitely going to do this for my son’s kindergarten class! Such a great idea! So stinkin’ cute- love the bright popping colors!! I’m so ready for Halloween too! And these are so fun. 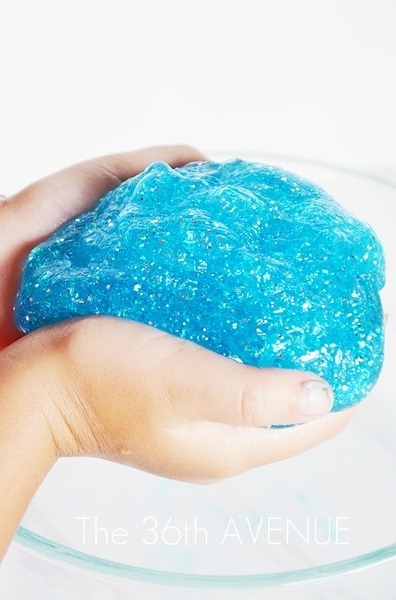 I know the kids will love making them! These are so fun Desi! My kids would love them. Can’t believe it’s time to get ready for Halloween!